wanted to do healing water work in the Caribbean Sea. Intention was key when working on this project. I added my energy into already energized bottle of water and it was carried into the sea. The area over which it spread could be measured with dowsing. I trusted that the energy was and continues to do its job. 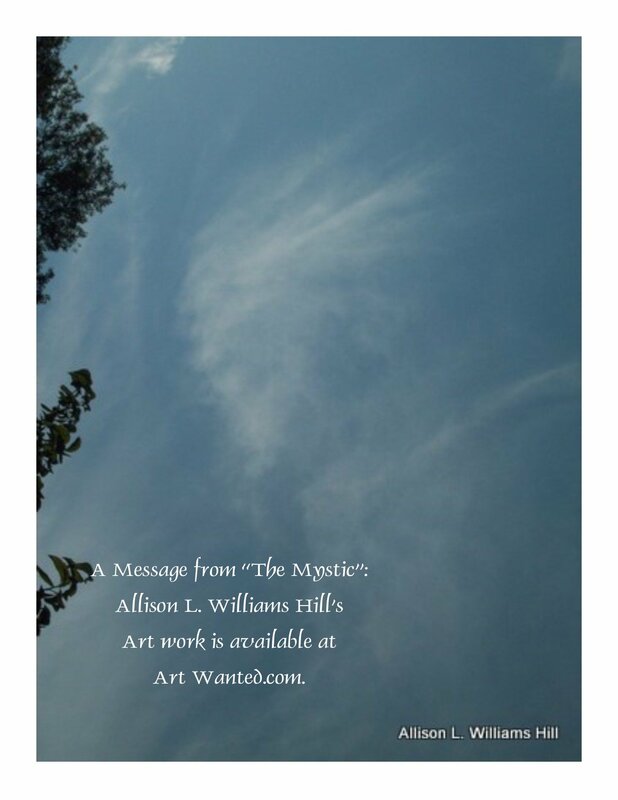 I purchased H2 ECHO from the Toronto Dowsers, that is, water energized through prayer and used to heal the waters of the planet. Many members took this and deposited in waters near them and far. 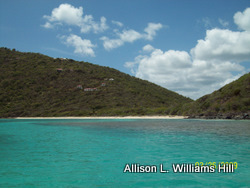 I chose to help change the Caribbean Sea around the British Virgin Islands. 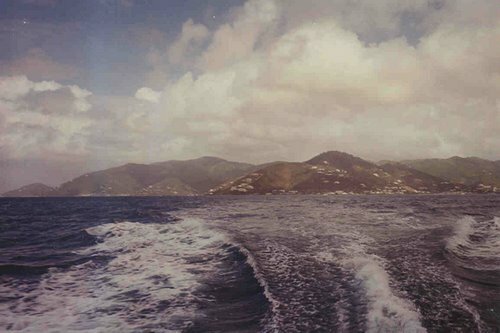 Though I've been on many ferry rides to St. Thomas, I rarely remembered to bring a bottle. 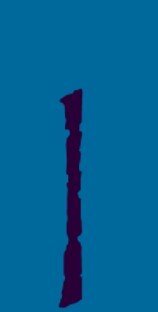 I did remember, however, to carry it with us when we vacationed on Cooper Island and during inter-departmental field trips while working for government. 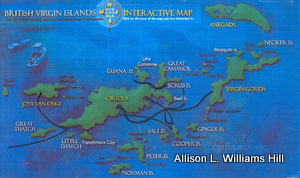 The map documents the routes and where the Caribbean Sea was sprinkled with H2ECHO. As I dropped it in, I said "Change the frequency." People have asked to taste the water. I suggested they think of what they wanted to heal within their bodies so that it may be of greater benefit. They were converted (SMILE!) in that they agreed that this energized water was significantly different in taste, at least,than regular water. Below are some pictures of the area where water was deposited. 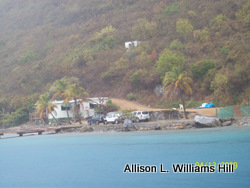 From Prospect Reef's marina on Tortola, we headed towards Cooper Island. 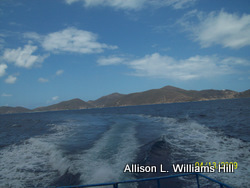 The wake as we see part of Tortola. 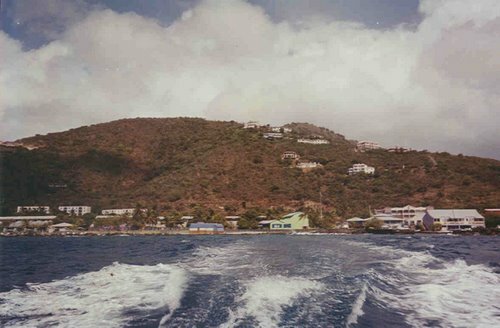 The southern side of Tortola from Duff's Bottom on the left to part of Road Town, the capital, on the right. 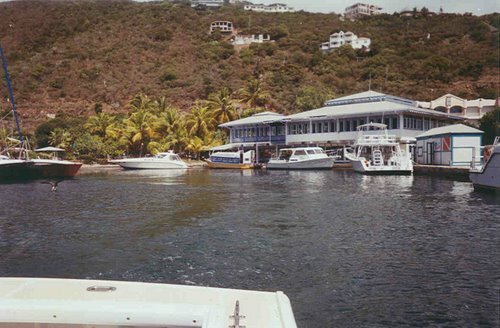 East End, the second fastest growing area on Tortola, has Red Bay, now with marinas. The bay was the site of traditional water activities many years ago. It is the hope of many to resurrect some traditions. 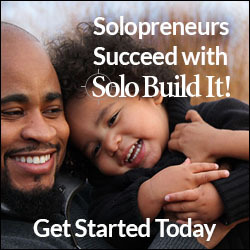 Guana Island is privately owned and the vacation choice for many famous people. It also has a small lagoon with clipped-wing pink flamingos. Other places pink flamingos visit are Josiah's Bay Pond and Anegada island. 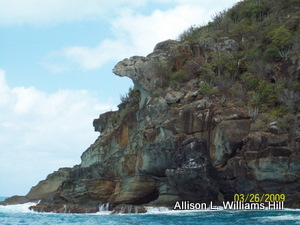 This is an outcropping on the west side of Guana Island. The rocks here are phenomenal to look at. I don't know the exact geological classification yet. Its name, Monkey Crag, suits it. This is the entry to Great Comanoe, a partially privately owned island. No BV Islanders live here, only ex-patriots.